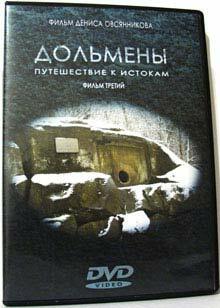 Dolmens are mysterious constructions of stone, spread all over the world and during several thousands keep their secrets. Who, when and for what purpose built them? Where did it originate and how did this mysterious megalithic culture spread? The third of the author's trilogy investigation film by the director Denis Ovsyannikov presents a point of view on these constructions by the people who by professions are far from mysticism. There are the experiment results concerning the building, the composition analysis of dolmen material, location of megaliths and their influence on a person. 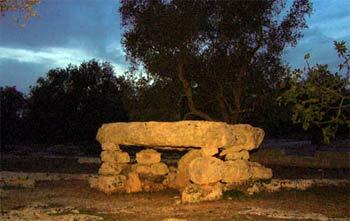 There are tours to the Caucasian dolmens, menhirs and "fairy stones" polissoirs of France and Italy. What are dolmens? To plunge into the atmosphere in search of giving an answer all these mysteries you will be able if you see the documentary scientific and popular film "Dolmens. Journey to the cradles". Ancient legends and true stories of modern times are waited for a spectator in wonderful adventures in the Caicasian mountains and valleys of Europe, dolmens of Adygei(Guzeripl, Bogatyrsk glades, tract treasures, Khadjokh), the Caucasian Black Sea coast near Tuapse and Sochi (Lazarevsk, Red glade, Kudepst and Volkonk megaliths); dolmens, menhirs, polissoirs from Europe: France (Ill de France region), Italy (Bishelie, Leche, Gurgiano) and other megaliths of the world.